Finding a good first Hebrew primer or self-study course can help you learn to read Hebrew well and teach you some rudimentary conversational Hebrew. This can take the form of a book or audio tapes or a combination of both. Many of these types of courses come with a CD to help you learn the proper pronunciation of words. Prices range widely, but of course you usually get what you pay for. If you’re looking for a beginner’s book to learn the Hebrew alphabet and basic reading skills, Learn Hebrew Today: Alef-Bet for Adults by Yadweb and Bogot is an excellent resource. 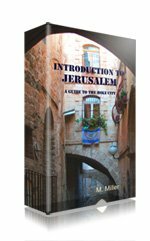 Clear and easy to follow, this book could have you reading Hebrew passably well in a week or two. You might not know what you're saying, but you’ll be reading, which is a great first step! Learning to speak on your own is bit trickier and for that you must get some sort of audio program. Primsleur’s two introductory Hebrew language courses are both highly rated: Basic Modern Hebrew and Modern Conversational Hebrew. These courses are audio books – no written materials at all, so don’t expect to learn to read. But they do break down sounds nicely and build slowly on the material, so it has a chance to sink in. If you're a disciplined self-learner, you can learn Hebrew free with the U.S. State Department FSI Hebrew course for diplomats. Download the course and textbook and do the course at your leisure. You'll be speaking Hebrew surprisingly quickly.